Your home is one of, if not the largest financial investment you’ll make in your lifetime. Having the right homeowner’s policy in place can ensure you recover from financial loss should the unexpected occur. 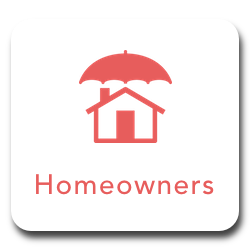 Homeowner’s insurance protects more than just your property, it also covers the people in it and your personal belongings. Wallace & Turner can help you determine the value of your home, personal property, unique or expensive items, and personal liability to determine the right homeowner’s coverage. We are also available to discuss policy options for your vacation/secondary home and property in other states. Your townhome or condo association policy can be difficult to understand and what is actually covered can vary greatly. Wallace & Turner is available to review and assess the policy to help you make an informed decision about obtaining personal condo insurance. Personal property: Loss due to theft, fire, and certain forms of weather damage. Liability claims: Accidental injuries to others. We offer a variety of discounts for good students, certain safety and anti-theft devices, and policies covering more than one vehicle. Contact us to learn more. Accessories and gear coverage: Saddlebags, backrests, seats, chrome pieces, CB radios, and your helmet (in certain policies). Bodily injury liability coverage: If you injure or kill someone while operating your motorcycle. This also provides you with a legal defense if a party in the accident files a lawsuit against you. Collision coverage: When your motorcycle hits, or is hit by, another vehicle. Comprehensive physical damage coverage: Losses resulting from incidents such as theft, fire or vandalism. Medical payments or personal injury protection coverage: Medical coverage for yourself and your passengers.Property damage liability coverage: Certain damages caused to someone else's property while operating your motorcycle. Provides you with a legal defense if another party files a lawsuit against you. Uninsured/Underinsured motorist coverage: injuries caused by an uninsured driver in an accident that is not your fault. There are methods to lower the cost of your motorcycle insurance when you take a riding safety course, insure multiple vehicles and more. Contact our office to obtain a quote and have peace of mind while you’re on the road. Talk with a Wallace & Turner agent to determine if inland marine insurance is right for you. Head out onto the water knowing you, your passengers and your boat are protected. Wallace & Turner offers coverage for speedboats, fishing boats, sailboats, pontoons, your Jet Ski®, WaveRunner®, or other personal watercraft. Our boat and watercraft insurance policies provide specialized coverage against most risks of owning and operating your boat, including protection against liability lawsuits and medical payments, whether on the water or land. Like our auto safety discounts, you may be eligible if you’ve taken boat safety courses, have protective devices on your boat, or have a diesel engine. With the right combination of coverage, you can have the financial resources to get back on your feet and even replace your home and possessions if necessary. Floods are the #1 natural disaster in the United States. 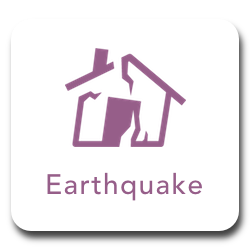 With this in mind, don’t be caught off guard - water damage from a flood is not covered in a homeowner’s or renter’s policy. Flood insurance must be purchased as a separate policy to protect against damage caused by heavy rains, hurricanes, snow and flash floods. Just a few inches of water can cause major damage to a home and belongings. Our agents are available to help you select the right flood insurance policy for your situation. Customers or clients come to my home. I maintain inventory or supplies in my home. I would lose income if I had to close my business because of damage to my home. I have employees working in my home? I maintain client or employee records on my computer. Non-auto related incidents: Such as a cooking fire or tree limb falling and causing damage. Vehicles with more than four wheels: A motorhome with more than four wheels would not be covered under your auto policy and it’s suggested to purchase supplemental rental insurance. Liability: Your homeowner’s policy will not necessarily cover injury to a visitor to your motorhome, for example. If you’re planning a special event such as a wedding, housewarming or retirement party, having an event liability policy in place will protect you against property damage or injury during the celebration. Should the event need to be canceled due to weather or other unforeseen circumstances, this coverage can help recover nonrefundable deposits and other financial investments you’ve made. Many venues and vendors will have their own liability insurance so be sure to check in advance what will be covered or not, to insure your own policy will help fill any gaps.